American Pika are fascinating little creatures that look similar to mice but are actually more closely related to rabbits and hares. They can be found on rocky slopes on mountains in parts of western North America. 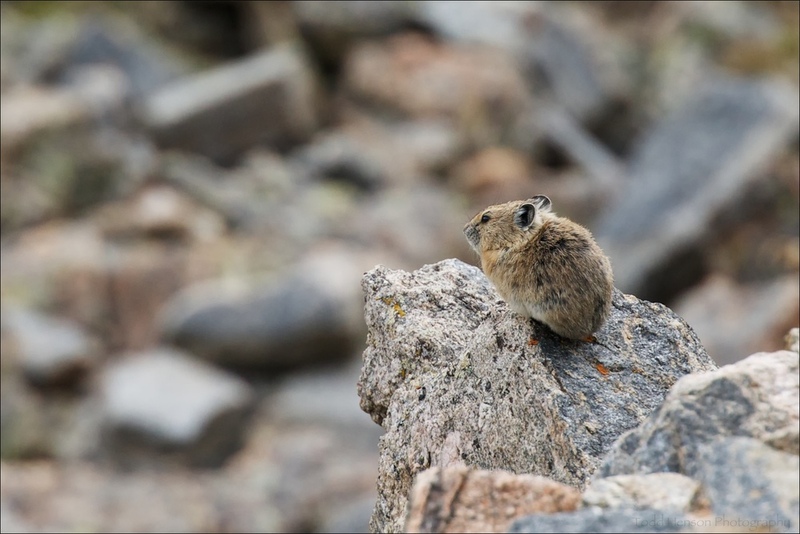 Pika will hop from rock to rock, then sit fairly still and watch their surroundings. Sometimes they will open their mouths wide and emit a curious call that resembles "eeeeeeee". One of them I was photographing heard the shutter clicks of my camera and turned to watch me, before going back to it's own business.